A Look at My Jelly Bellies! | Oh, for the Love of Vintage! A Look at My Jelly Bellies! I’m glad that you really enjoyed my previous post, Oh for the Love of Jelly Bellies! As I mentioned in that post, I’m crazy about jelly belly jewellery. Whether it be brooches, earrings or rings, I really love the jelly belly style. From your feedback, I realize that many of you weren’t aware of jelly belly jewellery. I’m glad I was able to share the joy of them with you! In the previous post, I didn’t have photographs of my jelly belly collection. Now, I have some photos and I’d like to share my items with you. Some of my jelly bellies feature the usual lucite or plexiglass centre, others feature rhinestones or pearls. My jelly belly animals: the kitty on the far right is from Trifari. 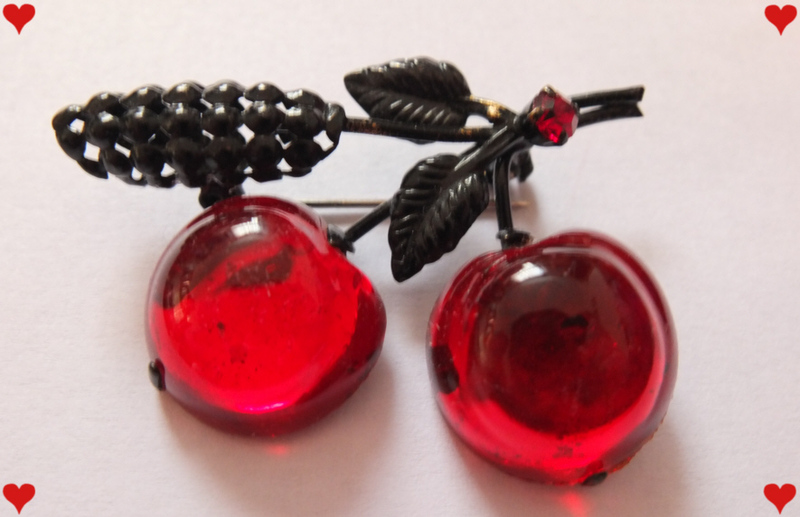 My all-time most favourite brooch: my jelly belly cherries. I don’t wear them very often because I’m petrified of losing them! Modern jelly belly jewellery: you can find a lot of modern jelly belly jewellery in stores today, like the below pins and ring. 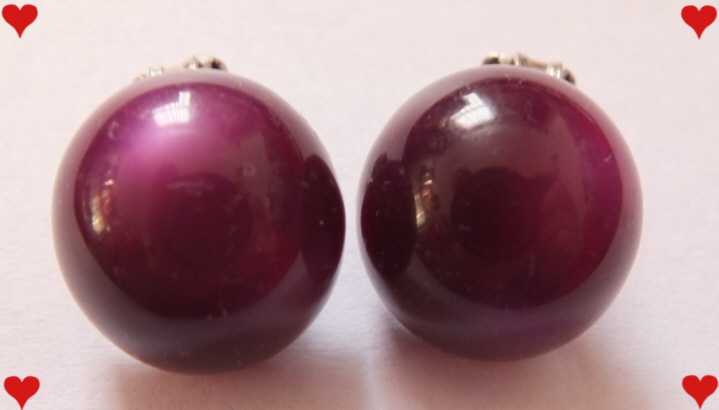 If you have some jelly belly jewellery, vintage or new, I’d love to see it! I just ordered myself one – inspired! I’ll send you a picture when he arrives. p.s. I hope you got my e-mail! hello i have Jelly Bellys!! i ididnt know what they were called! I will put together my jelly belly’s! and they will be posted on ebay, but I will post on my blog first so you can see them first! xoxo within next couple hours i will have posted them.. I had no idea they were called Jelly Bellies! I collect spider brooches, I have 11 of them so far. I don’t particularly like real spiders, but spider brooches make me happy – and there always seems to be at least one for sale at vintage fairs and expos. P.S. 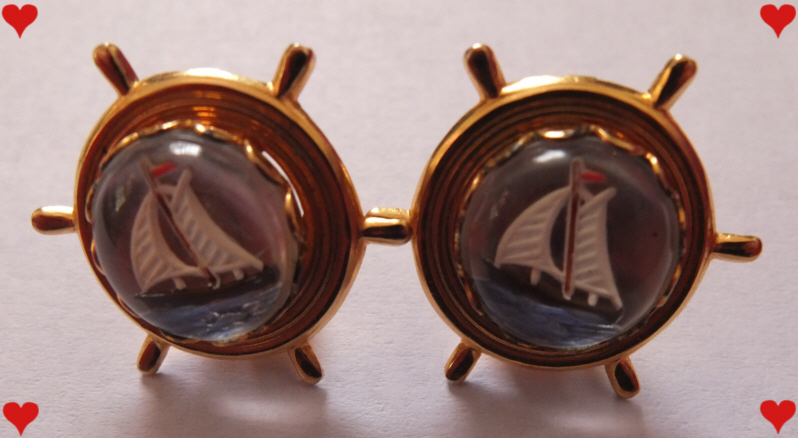 Those ship earrings are simply darling. I’m very envious. Emy, I can’t wait to see your pin. Glad you were inspired by my posts. ;0 I got your email but have been away. Home now! Amy, I too love spider brooches but only have a handful. I just love animal and insect pins! 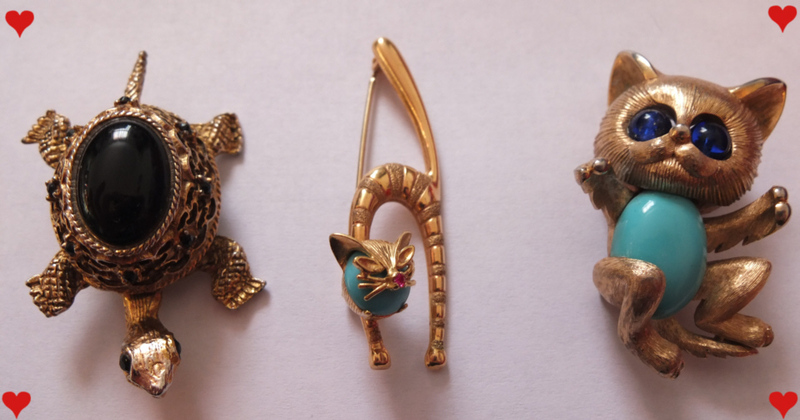 Pingback: Oh, for the Love of…Umbrella Brooches! « Oh, for the Love of Vintage! Pingback: Knitting Pretty: 1950s Nautical Sweater! « Oh, for the Love of Vintage! « Oh, for the Love of…Circle Skirts!